Covered box vans built in 1977 by Comeng, Western Australia. Allocated road numbers 3088 through 3137. 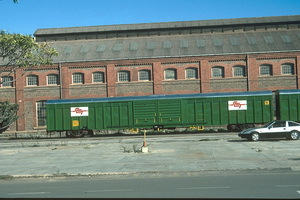 1977 Entered service as standard gauge "VFX" class covered box van built by Comeng, Western Australia. 1999 Painted in SCT green colour scheme.